Data is exploding in todays digital environment, and this information is critical for your business. Don’t let backup storage costs get out of control. Combine your favorite virtual machine backup software with Object Storage and preserve your data in a secure, offsite environment without a major investment. Cynny Space object storage is offered as a combined solution a third party backup system – simplify backup of virtual machines whilst reducing storage costs and complexity. 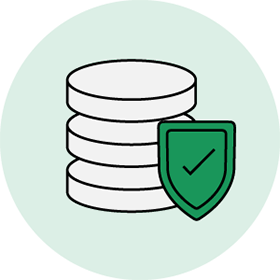 Utilize the 3-2-1 security rule with Cynny Space and Veeam backup to maximize your data safety while reducing backup costs. 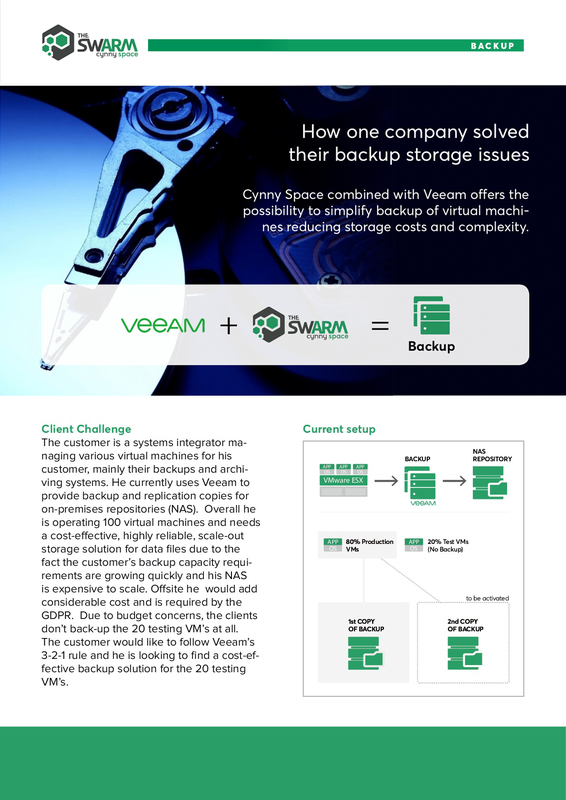 The Cynny Space and Veeam backup solution delivers a proven NFS gateway from Veam to Cynny Space Object Storage – allowing Cynny Space to operate as a target within your storage environment. 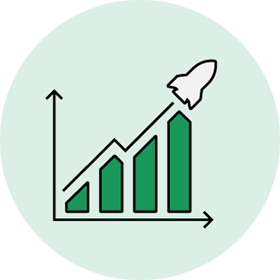 A flexible solution for your VM backup storage is Cynny Space Pay-as-you-go solution: it is installed in a company's datacenter to allow for simple billing based only on the net storage utilized whilst on premise. 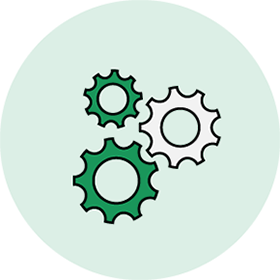 Managed setup, self-healing software and virtually no maintenance substantially lowers TCO.